Brian O'Donovan (aka BOD): How accurate are wind forecasts for Dublin? 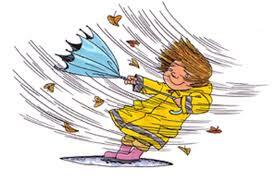 How accurate are wind forecasts for Dublin? In my last post I analysed temperature forecasts for Dublin and today I will turn my attention to wind. I had been interpreting the readings from OpenWeatherMap as kilometres per hour while in fact they were in meters per second. Once I corrected this error, their readings lined up well with other services. There was no similar simple explanation for the wind speed readings from WU not matching the other services. It was just a problem with their actual data from Dublin - the forecast data for Dublin and the actual readings from other cities lined up with other services. Since weather underground is built upon data from amateur weather stations, I suspect that the weather station they were using for wind speed readings from Dublin was badly positioned e.g. 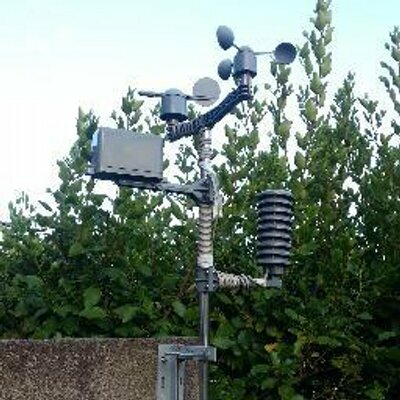 see the picture of a weather station of mine which used to report to WU before it broke - initially the readings were reasonable, but then the neighbour's hedge grew taller and began to block wind from reaching the station. As a result, I chose to exclude the WU from the calculation of averages and to compare the WU forecasts with the actual reading from other stations rather than their own readings. The raw data about wind forecasts is available here and a summary table is given below. In general, the accuracy of the wind forecasts is worse than the accuracy of the temperature forecasts. Although you can't compare Celsius readings with km/h readings, if I transformed the data into % error the same conclusion would be reached. This is probably a reflection of the fact that the wind speed in Dublin varies more from day to day than the temperature. On balance DarkSky is probably the overall winner for accuracy, but BlueMix and yr.no are both very close. Surprisingly the wind forecasts from weather underground are almost as accurate as the best services, but their historical reports are so inaccurate that they could not be considered good. In contrast, the wind forecasts from open weather map are noticeably worse than the other services (and weather online is not much better). While I was writing this post, I found out about an organisation called Forecast Watch who did a much more detailed analysis of weather forecast accuracy. You can read their conclusions here but the quick summary is that most years the winner for the most accurate forecasts was The Weather Channel (which is now an IBM subsidiary and I refer to a BlueMix), but in a few cases the winner was the Weather Underground (also an IBM company) or MeteoGroup (which was not one of the services I analysed). They analysed forecasts for several cities and they found that the best performing service varies significantly from city to city.